Founded in Lucerne, Switzerland, the watchmaking experts at Carl F. Bucherer have been the industry standard for next-level timepiece innovation and watch fashions for nearly 130 years. Family-owned, Carl F. Bucherer proudly presents both men's and women's timepieces in a variety of amazing styles, all immaculately-constructed pieces of haute horological history sure to remain pristine for an eternity. Keeping this legacy alive, BARONS Jewelers is proud to be an authorized Carl F. Bucherer retailer offering our valued Bay Area customers the most well-constructed timepieces that Carl F. Bucherer has to offer. Available now in the beautiful Dublin showroom of BARONS Jewelers is an incredible selection of some of the most popular men's and women's Swiss-made timepieces offered today. 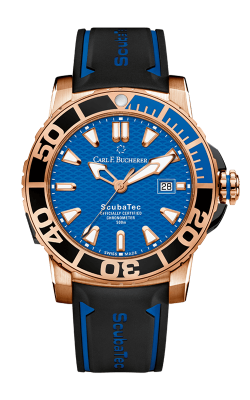 Popular Carl F. Bucherer models available now include the watches of the Patravi collection comprised of the Patravi Scubatec and Traveltec lines, as well as the versatile and unique watches of the Manero men's watch collection. The handsome assortment of men's watches include such complications as date, moon phase, power preserve, and many others. BARONS is also proud to extend to our Bay Area customers, the ladies' Carl F. Bucherer watches of the fabulous Pathos collection, featuring watches from the elegant Princess and Queen lines, as well as many others. 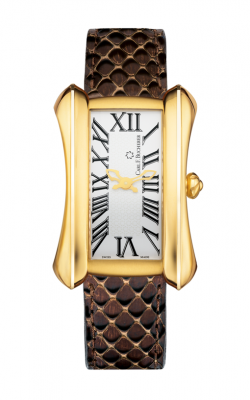 Additionally, women can shop the wonderful Mini and Diva lines of ladies watches which boast the highest quality precious metals and band materials including stainless steel, 18-karat white gold, yellow gold, and other luxurious materials. Our extensive selection doesn’t end there. BARONS Jewelers is proud to offer access to the entire collection via our Dublin, California showroom. ​Why Shop at BARONS Jewelers? Founded in 1967, the family-owned and operated BARONS is renowned in the East Bay Area for bringing customers the absolute best in fine jewelry, service, selection, and affordability. Located in our Dublin, California showroom, our experienced BARONS Jewelers staff is proud to bring customers an array of designer engagement rings, wedding bands, diamond rings, fashion jewelry, and an ever-expanding selection of luxury-grade timepieces from popular designers like Tacori, A. Jaffe, Michael M, ArtCarved, Raymond Weil, Bulova, and others, as well as jewelry repair, watch repair, custom jewelry, and on-site appraisal services.